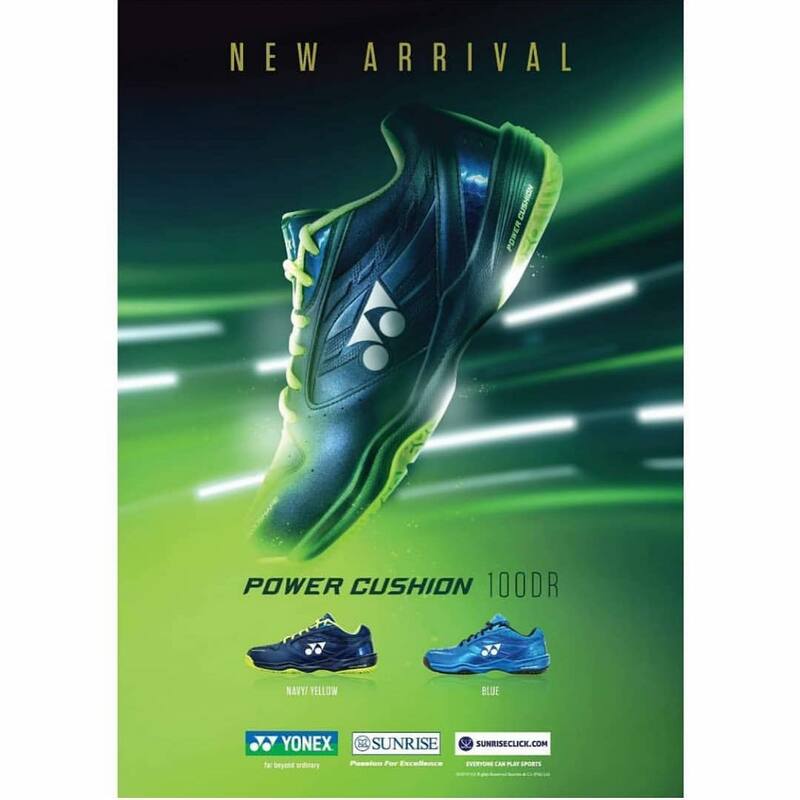 Dominate the court with sure-footed confidence and explosive power in Yonex badminton shoes Power Cushion 100 DR. These shoes offer a sleek, lightweight design packed with technology to let you look good and feel good on the court. This is an all-round non-marking Badminton shoes. Absorbs shock and reverses impact energy. Lightweight for comfort. 3-times more absorbent than Urethane. The Lateral Shell located on the outside of the forefoot prevents sliding at the edge of the sole. A super-light graphite plate is inserted under the middle portion of the foot to increase stability and reduce weight within the shoe Yonex 100dr.